Keeping your devices protected is very important and it’s even better if you find a stylish solution. 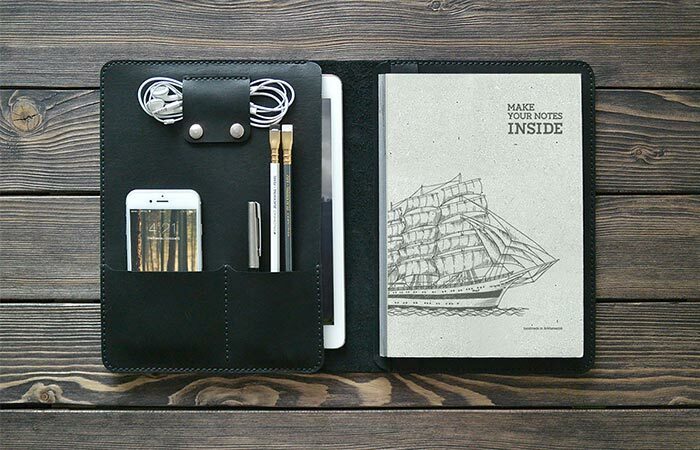 inSidegift is a small company from Russia that creates handmade leather accessories. Among their different collections, there’s one that features classy iPad Leather Folios. The iPad Leather Folio collection includes 12 different iPad and document organizers. They are different in size, style and color but there are a few things all of them have in common. First of all, each one is made from leather with great levels of craftsmanship. The process of making iPad Leather Folios includes them being cut, pierced and sewn by hand, making each one unique. These iPad folios are made from leather and are cut, pierced and sewn by hand. 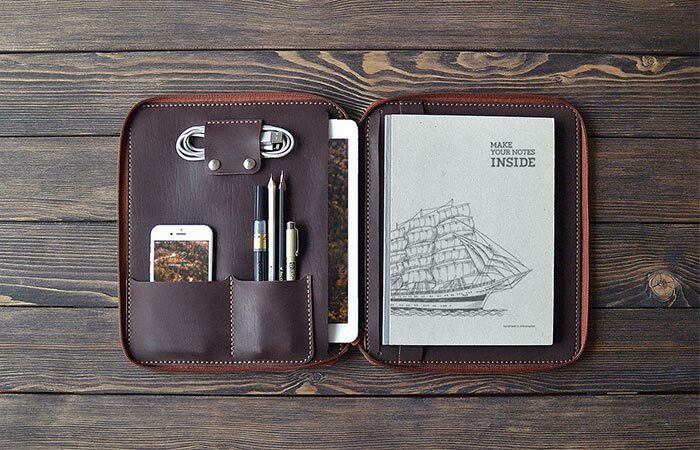 iPad Leather Folio is very elegant and practical. It can be especially useful for holidays and business trips. Some of them have a zipper on the side so you can close it completely. Not to forget a useful strap you can use to put your notebook inside it, but also small pockets to store your phone, pens, cards or headphones. iPad Leather Folios have pockets where you can store different items and some of them have zippers, for full closure. The company allows you to personalize your iPad Leather Folio by choosing what to stamp on it, whether it’s your initials or any other note. Since it’s made from leather, you may want to know more on how to treat it well. The color will get a bit darker by time and you can use different types of leather cremes and sprays, just make sure they are colorless. 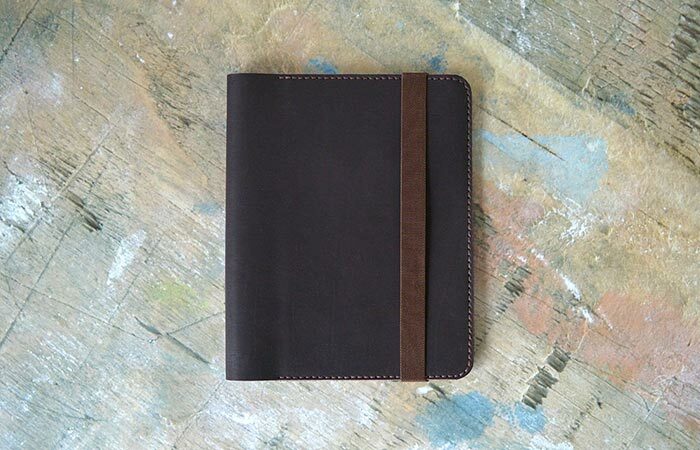 You can get iPad Leather Folios in different sizes and colors. 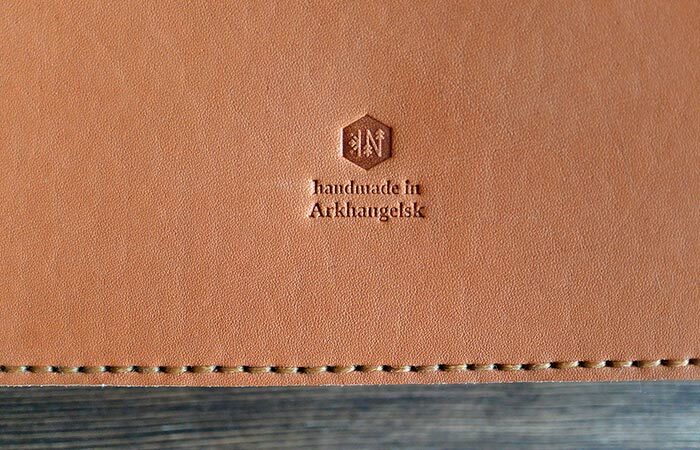 You can personalize iPad Leather Folio with the stamp of your choosing.